The warmer weather is a great excuse to get outdoors, enjoy the sunshine and maybe even knock a few things off your to-do list at the same time. As the mercury starts to rise, now is the time to fix up your backyard ready for the warmer months and outdoor entertaining ahead. If you’ve been putting off your yard maintenance, procrastinate no longer. Getting on top of those niggling tasks now means you’ll be able to sit back and relax as the higher temperatures start to hit. Here are a few jobs that are perfect to tackle at this time of year. This is a great time of year to prune back those overgrown branches, tidy things up and make sure your backyard looks good and is a safe place for family and guests to spend time. A quick run over your hedges with a hedge trimmer will not only neaten them up, it’ll encourage new growth and help them look fuller and thicker. This is especially important if you rely on hedges for privacy – the fuller they are the better they will do their job! When it comes to trees, drooping branches don’t just look untidy, they can be dangerous, especially in windy weather. If you’re having trouble reaching those out of the way branches, a pole pruner is a very handy device that lets you get those awkward bits and pieces without having to strain. An overgrown lawn can make your whole property look neglected. Warmer weather usually brings an influx of new growth, so now is the time to get everything under control before it gets out of hand. Grab yourself a lawn mower and get to work – for larger grassed areas you might want to consider a ride-on mower for a fast, professional result. Don’t forget the edges. 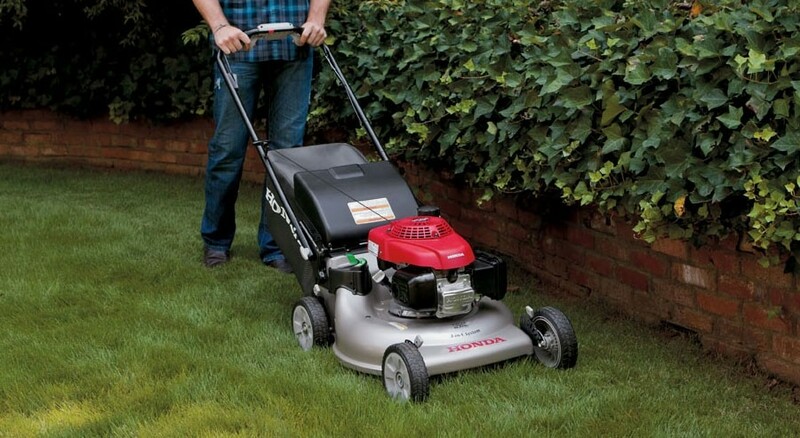 You won’t be able to get right around the edges with a lawn mower - an edger lets you get those clean lines around paths and beds so you can ensure everything looks neat and tidy. If you really want to keep your lawn looking its best, you might want to consider using a lawn corer to aerate it. A lawn corer works by removing plugs of soil from the lawn, allowing air and water to move more freely through the soil. This alleviates the problems caused by soil compaction and encourages a healthier, fuller lawn. Cleaning outdoor areas like paths and driveways makes a huge difference to the appearance of your home, while reducing the chance of slips, trips and falls. A blower is great for getting debris off paths and steps. Get into a routine of clearing regularly and you can avoid many of the problems that come with wet weather and slippery dirt and leaves. Need the right tools for those yard jobs? At Kennards Hire, we have everything you need to get your outdoor areas looking their best. Check out our website or come and visit us in branch.